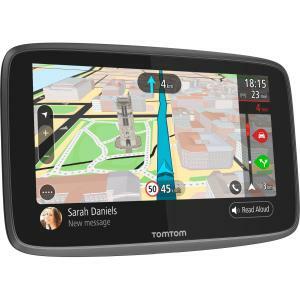 Meet the TomTom GO 6200 - the smarter, faster, better connected GPS navigation device with a built-in SIM card. Wi-Fi® connectivity lets you update without a computer. 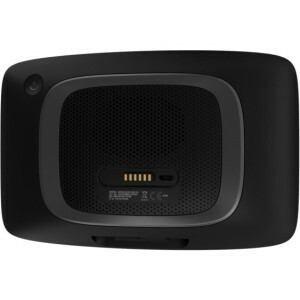 Voice controlled hands-free calling and smartphone messages offer connectivity with safety. With TomTom MyDrive, plan routes on your phone and the GPS navigation device is ready when you get in the car. Free lifetime maps, traffic and speed camera updates are all included - even get alerts for average speed zones. 6 inch screen size.